Famous Psychics – Helena Petrovna Blavatsky | Am I A Psychic Or Not? 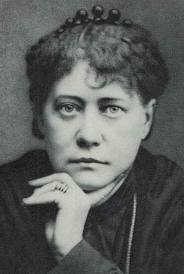 Helena Petrovna Blavatsky was born on 12 August 1831 in Ukraine. She is most widely known for her contribution in establishing the Theosophical Society. Her mother died when she was only 11. She grew up in an environment full of spirituality and esotericism. She was married at the age of 17 with a 40 year old vice-governor. The marriage didn’t work out and she fled to her grandfather after 3 months. She travelled the whole world during the decade of 1848-1858. It was during this period that she was inspired by theosophy. Soon afterwards, she started travelling with an Italian opera singer named Agardi Metrovich, who later claimed to be her husband. There was a child called Yuri whom Blavatsky loved a lot and upon the death of whom she declared that she no longer believed in the Russian Orthodox God. In the early 1870’s, Helena began to profess and publicize herself as a medium. She moved to New York in 1873 and impressed a lot of people with her proclaimed psychic abilities. Throughout the span of her career, she claims to have performed a lot of psychic activities such as levitation, astral projection, clairaudience etc. The next year when she was working on her book Isis Unveiled, she married for the second time. But soon she divorced again and went to India. After her brief stay in India, she went to Colombo (now, Sri Lanka) with Henry Steel Olcott. Both of them became Buddhists there and started to revive the religion in the country. In 1880, she is said to have materialized a lost brooch from one of her guests at a dinner party. Around this time, the Theosophical Society became international and she again moved to India to its headquarters. She went to Belgium in 1886, where she claimed to have a revelation ordering her to finish her book Secret Doctrine under any circumstances. She finally went to England where, with the help of a disciple, she lived till her death. In the year 1890, she created ‘The Inner Circle’ with 12 disciples. She died on the 8th of May, 1891 from influenza and Bright’s disease. Controversy has surrounded her throughout her life. She taught about each and every metaphysical principle. Her strong disbelief in the ‘holiness’ of the Church has been supported by many Christian Gnostics, both in the yesteryears as well as modern times. Her actions, teachings and proclaimations have been countered by many, but little evidence has ever been produced to back it all up. This entry was posted in Famous Psychics and tagged famous psychic, famous psychics, H.P Blavatsky, Helena Petrovna Blavatsky, Madame Blavatsky, psychic biographies, psychics biography. Bookmark the permalink.